Mark your calendars! CoinPoker is about to launch the first-ever Crypto Series of Poker (CSOP). This inaugural event is set to take place from May 27 – June 3 with a highly lucrative 10M CHP in added prizes. 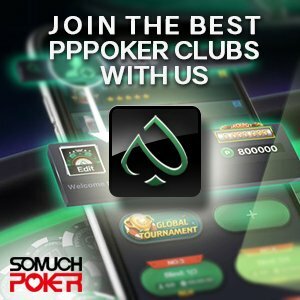 CoinPoker is a poker room built on blockchain technology powered by Ethereum. They created the cryptocurrency CHP (chips) tokens which was initially launched last year. On November 2017, CoinPoker launched a successful pre-ICO (Initial Coin Offering) with 100 million CHP tokens sold on the first six days. This was followed by a Stage 1 ICO on January 2018 with another 137.5 Million snatched up in just 48 hours. For the first seven days of the Crypto Series of Poker, players can enjoy the variety of side events offered with buy-ins ranging from 250 CHP to 4,000 CHP and added values from 250,000 CHP to 1,000,000 CHP. New sign-ups will be very thrilled to know that as a treat for joining CoinPoker, the first event, the CSOP 1 Turbo Unlimited Rebuys, will be free to enter. Just before the highlight event, there will also be a Mini Main Event with a 2,500 CHP buy-in and 1,000,000 CHP added value. Headlining the series is the CSOP Main Event: 20K CHP Tony G Bounty which takes place on June 3rd. This is a freeze-out tournament. Buy-in is 5,000 CHP with a huge added value of 2,500,000 CHP. And yes, the player that busts out Tony G will receive an instant 20K CHP bounty reward. *CHP is currently trading at USD.07 – USD.08. How to qualify online to the Macau Millions?